Nathan Salter is the SCI President. After graduating from the University of Central Arkansas in 1997 with a degree in Business Administration, Nathan joined Salter Construction, Inc., to continue a legacy in the construction industry. 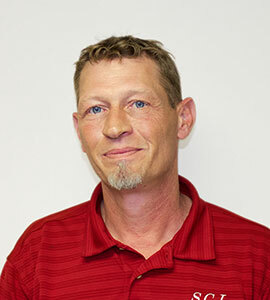 He began his career as an apprentice in the plumbing industry and has held a number of positions during his time at Salter, including job superintendent, project manager, and estimator. In 2011, Nathan was named President, and assigned a leadership role with responsibility for setting and implementing the strategic direction of the company. He has been with SCI for a total of 23 years. As a Salter leader, his goal is to have the company recognized by clients as delivering the highest standards of service in the industry, while making Salter a great place to work. Jesse Hammett is the SCI Vice President. After graduating with honors in 2007 from the University of Arkansas in Little Rock with a degree in Construction Management, Jesse joined Salter Construction as a project manager. 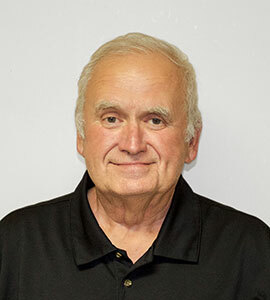 His accreditations include LEED AP, Certified Professional Constructor, a member of the Construction Specification Institute, and an authorized OSHA instructor. Jesse began his career as a carpenter and with his hands on field experience he gained exceptional leadership and management skills. 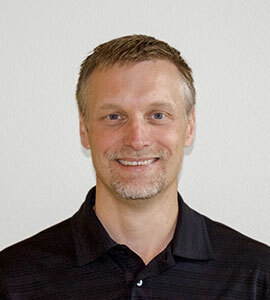 He has been a part of the SCI family for 16 years, with a total of 25 years in the industry. His daily responsibilities included monitoring of labor, schedule, and job cost while overseeing Salter’s company safety program. In 2011, Jesse was named Vice President. Jesse’s team approach and budget mindedness has furthered Salter’s reputation of completing projects under budget and ahead of schedule. Zach Brown is the SCI Senior Project Manager, and is a 2009 graduate from the University of Arkansas in Little Rock with a degree in Construction Management and a minor in Business Administration. 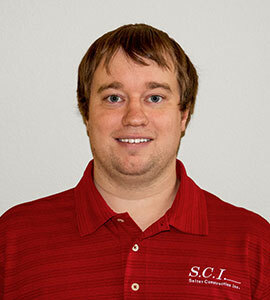 Zach joined the SCI family in 2008 as an assistant project manager learning practical application from his education. He is a member of the Construction Specification Institute, a Certified Professional Constructor, and a 30 hour certified OSHA member. Zach soon became a full-time project manager specializing in medical office renovations and interior finish out projects. He has been a part of the SCI family for 11 years, with a total of 13 years in the industry. Zach’s eye for detail has maintained Salter’s reputation of meeting or exceeding an owner’s expectations. 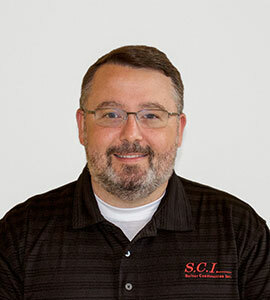 Jeff Curtis is one SCI's Project Managers. He has been a part of the SCI family for 11.5 years, with a total of 19 years in the industry. His experience has been with residential construction, nuclear industry, and service work. During his time at SCI, he has been given an understanding of the differences between field work and the office side of the businesses. They are very different but need to be looked at from both sides to be able to accomplish the goals set forth by the company. 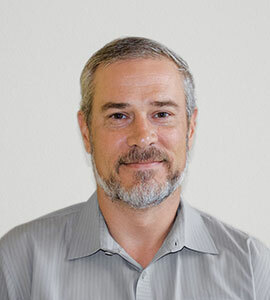 Mike Frazier is one of SCI’s Project Managers. 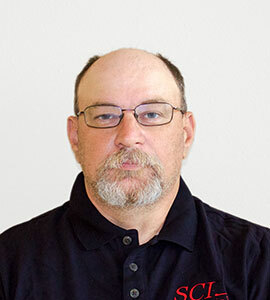 Mike has been a part of the SCI family for 12 years, with a total of 25+ years working in the industry. 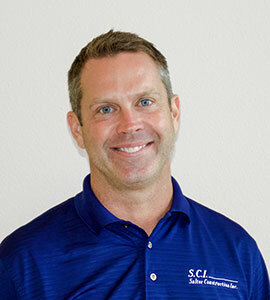 Prior to joining the SCI family, he worked for Frazier Construction, the family construction business, both in the residential and commercial industries. He also opened and operated a cabinet shop for 5 years. Mike also served in the US Army and National Guard for 10 years. 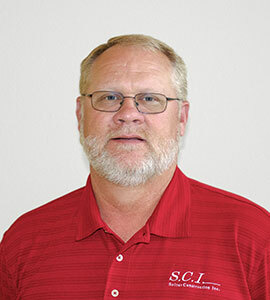 As part of the SCI family, he successfully completed a number of projects as a superintendent, including the Rankin Warehouse, Office of Child Support Enforcement, Pauline Missionary Baptist Student Center, Robinson Nursing remodel, Good Shepherd Nursing remodel, Home Bancshares remodel, Snap-On Conway remodel, Palisades at Pleasant Crossing and much more. He is also a part of the Palisades Phase II management team. To Mike, SCI has become family and has always encouraged him to always work to be better. SCI challenges and encourages its family to find their potential and excel, to seek excellence and in turn provide that next level of quality for our clients. Nick Nadolski is one of SCI's Project Managers. He has been a part of the SCI family for 6 months, with a total of 15 years in the industry. Before his time with SCI, Nick gained experience working at IBM, building college dormitories, and building water and waste water treatment plants up and down the East Coast. During his time with a previous employer, 3 projects he led as project manager received safety project of the year. To him, SCI is a Family. SCI is fun, and does it right, providing great quality every time to clients. 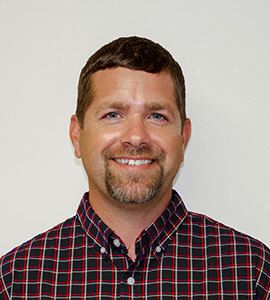 Dustin Mize is SCI's Estimator/BIM Coordinator. 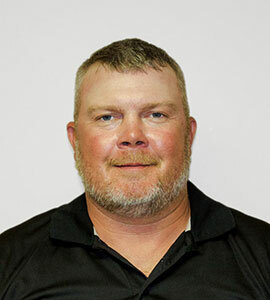 He graduated from the University of Arkansas in Little Rock in 2011 with a degree in Construction Management and a minor in business administration, and is a Certified Professional Contractor and a 30-hour certified OSHA member. At UALR, Dustin was also a part of an award-winning Bid Competition team. Since joining the SCI family, he has aided in the research and implementation of 3D modeling technology, which is now used in many of Salter Construction's projects to help provide vision of the finished project to clients. Dustin has shown great talent for taking a conceptual idea and transforming it into a visual product, which helps clients match their vision to their budget, making him perfect for his role as lead Estimator. To Dustin, SCI means bringing the quality and professionalism of a larger contractor with the personal relationship of a hometown business. 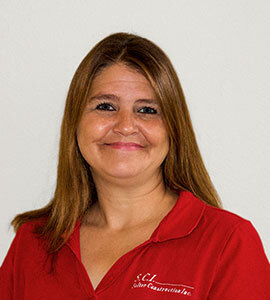 Elizabeth Esau is one of SCI’s Assistant Project Managers. She has worked with SCI for 3 years, with 8 years total in an office environment. Prior to joining the SCI family, she held positions such as a veterinary assistant, preschool teacher, waitress, receptionist, photography developer, and most importantly, a MOM. 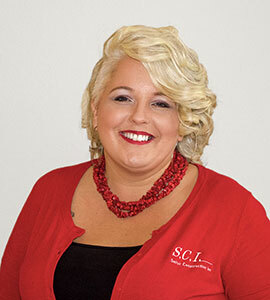 While at SCI, Elizabeth has been given the opportunity for growth within the company and was promoted from within. 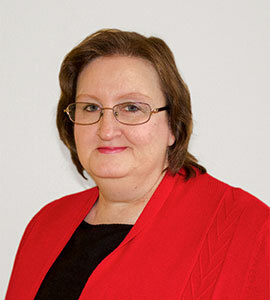 She is one of the company’s leading document and process developers. To Elizabeth, SCI means Family. Everyone sticks together, and even though there’s bickering from time to time, in the end everyone works together to get the job done. She is proud to be a part of the SCI family, of the values it stands for and the positive impact it makes on the community. 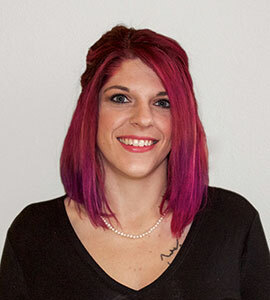 Even though Elizabeth received her degree in Early Childhood Education, she ended up working with a construction company, found a position she loves, and is looking forward to continuing her education and commitment to this company. 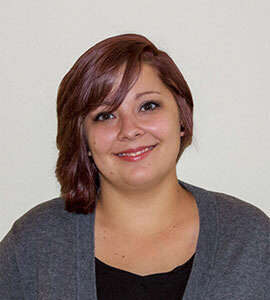 Bambi Musgrove has been part of the SCI family as an Assistant Project Manager for 2+ years. 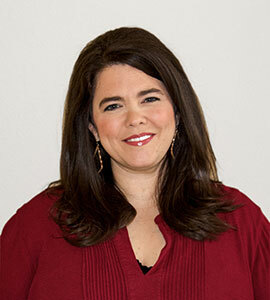 Prior to working with SCI, she has held positions in accounting, as a facility manager, and designer. To Bambi, SCI is a good place to work where you feel your opinion really matters. Tony Autry is one of SCI’s job superintendents. He has worked with SCI for 4 years, with a total of 21 years working in the industry. Prior to working with SCI, he worked as a residential homebuilder, where he gained experience building residential homes for over 11 years. While at SCI, he has had a hand in building very large residential homes and large apartment communities. Doug Bell is one of the SCI job superintendents. 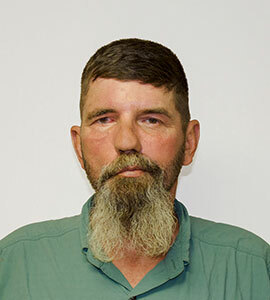 He has been part of the SCI family for 13 years, with a total of 35 years in the industry. 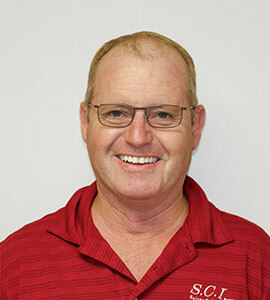 While working in the construction industry, both before and during his time at SCI, he held positions as an equipment operator, trim carpenter, and homebuilder. His time at SCI allowed him many accomplishments, including being promoted from carpenter and equipment operator to superintendent. Tommy Craver is one of SCI’s Job Superintendents. 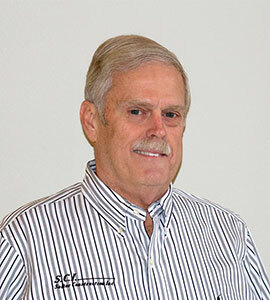 He has been a part of the SCI family for 14 years, with a total of 35 years in the industry. Before joining SCI, he held positions at Nabholz, Kinco, and Tilk. During his time with SCI, Tommy lists many accomplishments, some of which include banks, restaurants, multifamily structures, and other high profile buildings. To Tommy, SCI means his family’s livelihood and their future. Josh Farris is a Job Superintendent with SCI. He has been a part of the SCI family for 10 years, with a total of 20 years in the industry. Before joining SCI, he worked as an ironworker and cabinet installer. His notable accomplishments while at SCI have included his works on the Backachers Arena and the Fairgrounds. Matt Hartsfield works as one of SCI’s job superintendents. He has been with the SCI family for 1 year, but has worked in the industry for a total 15 years. He has worked as a project manager and superintendent. His accomplishments include building restaurants, malls, churches, multifamily structures, and business centers. 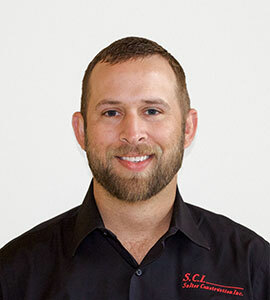 SCI is a great company with a wonderful family atmosphere, with a great team Matt is glad to be a part of. Outside of work, Matt enjoys hunting, fishing, sports of any kind, and watching Family Feud. Bo Madden works as one of SCI’s job superintendents. He has worked for SCI for 18 years, with a total of 50 years working in the industry. Prior to joining our team, Bo was self-employed for most of his working life. SCI has meant a lot to Bo and has been a large part of his life for the past 18 years. Ronnie Matthews is one of SCI’s job superintendents. He has worked for SCI for the past 14 years, with a total of 30 years in the industry. Prior to working at SCI, he worked with the education department (MRDDS) and was owner at Joe’s Acoustical Co., Inc. While at SCI, some of the notable projects he has worked on have been the Sherman Heights subdivision and the Gardens at South Ridge subdivision. To Ronald, SCI has been a great place to work, allowing for good relations across the country. He’s also happy that through SCI he’s always had a new project to work on, always had a job to look forward to. 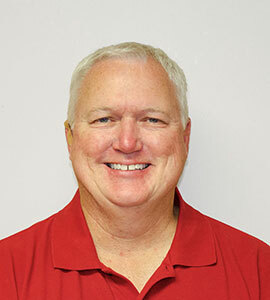 David Cook is the SCI transportation & warehouse manager. He has been a part of the SCI family for 2.5 years, with a total of 15 years in the industry. 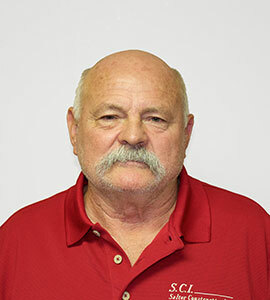 He has had experience in logistics, heavy equipment delivery, and materials delivery. 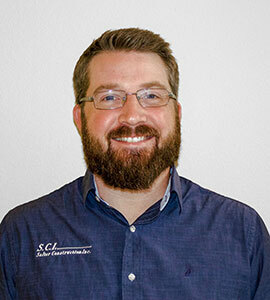 During his time at SCI, David has implemented a maintenance program, cutting maintenance costs and streamlining equipment pick-up and delivery. To David, SCI is a progressive company, always hoping to grow and get better in every aspect. Jeffrey Riggs is one of the SCI accountants. He has worked at SCI for a total of 3 years. Before working at SCI, he spent 3 years in accounts receiving at a telecommunication engineering firm. To Jeffrey, SCI means family. Ashley West is one of the SCI accountants. She has been a part of our family for 2 months. 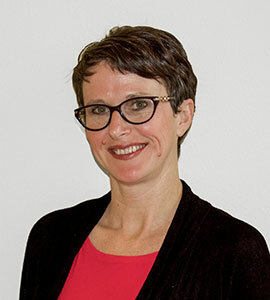 Before joining SCI, she had 11 years experience in construction accounting. Previously, she worked at Lexicon Management’s corporate office, a steel manufacturing company. To her, SCI means talented and hard working professionals. She says the team at SCI is so extremely knowledgeable about the construction industry. She feels blessed to be on the SCI team, and SCI feels blessed to have her on the team! Bailey Arnold is the Receptionist of Salter Construction. She has been a part of our family for 8 months. Before working with Salter Construction, she worked in hotel management and even as an early childhood education substitute teacher. She has enjoyed her time here at SCI so far, saying our team contains a very family-like environment, that we exude a hard working mindset and we are all goal oriented. Salter Construction, Inc., based in Conway, Arkansas, is one of the largest privately held family-owned construction and real estate development companies in the state. Founded in 1976 by Gene Salter, the company quickly built a reputation for teamwork and commitment. Throughout his career, Gene referrers to his clients as “respected friends.” This camaraderie and team sentiment is rooted deep in our company history. The Salter family’s passion, commitment, and experience is a central part of every project we deliver. Knowing you’re building for future generations encourages the long-term thinking needed for growth and success. These values remain true today and are the reason we were able to celebrate our 40th anniversary. This is a milestone which all of us at Salter are very proud of. There are more than a century of “lessons learned” incorporated into everything we do. This history gives us the insight and experience necessary to deliver maximum value for our clients and is a major reason Salter is recognized as a leader in the construction industry. Our rich history combined with our extensive knowledge of today’s ever-changing demands, allows us to deliver the best construction solutions for our clients. While many of the state’s largest builders have changed ownership, Salter is one of the few remaining family owned, privately held companies with solid financial footing and long-term stable management.